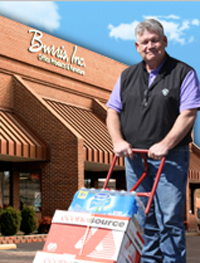 If you can’t say the same of your current office products supplier... Request a Face-to-Face meeting with a Burris Inc sales rep or one of the owners to discuss a business review and learn how we can save you time & money! © 2013 Burris, Inc. All Rights Reserved. Burris, Inc. is not responsible for printing or typographical errors. Prices, policies, and availability are subject to change without notice.